Genes involved in transcription regulation may represent valuable targets in association genetics studies because of their key roles in plant development and potential selection at the molecular level. Selection and demographic signatures at the sequence level were investigated for five regulatory genes belonging to the knox-I family (KN1, KN2, KN3, KN4) and the HD-Zip III family (HB-3) in three Picea species affected by post-glacial recolonization in North America and Europe. To disentangle neutral and selective forces and estimate linkage disequilibrium (LD) on a gene basis, complete or nearly complete gene sequences were analysed. Nucleotide variation within species, haplotype structure, LD, and neutrality tests, in addition to coalescent simulations based on Tajima’s D and Fay and Wu’s H, were estimated. Nucleotide diversity was generally low in all species (average π = 0.002–0.003) and much heterogeneity was seen in LD and selection signatures among genes and species. Most of the genes harboured an excess of both rare and frequent alleles in the three species. Simulations showed that this excess was significantly higher than that expected under neutrality and a bottleneck during the Last Glacial Maximum followed by population expansion at the Pleistocene/Holocene boundary or shortly after best explains the correlated sequence patterns. These results indicate that despite recent large demographic changes in the three boreal species from two continents, species-specific selection signatures could still be detected from the analysis of nearly complete regulatory gene sequences. Such different signatures indicate differential subfunctionalization of gene family members in the three congeneric species. Sequence data from this article have been deposited with the EMBL/GenBank data libraries under accession nos. DQ257690–DQ260227. The online version of this article (doi: 10.1007/s00239-010-9335-1) contains supplementary material, which is available to authorized users. Patterns of DNA variation are often used to identify the evolutionary forces shaping species genetic structure. DNA polymorphism is generally governed by the interplay of various forces, some having locus-specific effects such as mutation, recombination, and selection, others having a genome-wide effect such as bottlenecks, migration, and population expansion (Charlesworth et al. 2003; Luikart et al. 2003). A departure of allele distribution from neutral expectations indicates that one or more of these forces are predominantly driving the evolution of the studied genes. Identifying the effect of these forces and understanding their interactions at the genome level have become a cornerstone of modern evolutionary biology to address key questions such as the gene’s contribution to species fitness, local adaptation, species divergence, and population demography (Storz 2005; Wright and Gaut 2005; Namroud et al. 2008; Stinchcombe and Hoekstra 2008). In species like conifers, identifying the effect of each of these forces remains particularly challenging. On one hand, conifers have a large genome size (Wakamiya et al. 1993; Murray 1998; Siljak-Yakovlev et al. 2002) and linkage disequilibrium (LD) decays rapidly within their genes (Brown et al. 2004; Neale and Savolainen 2004; Heuertz et al. 2006), which makes the detection of locus-specific effects difficult without using a very large number of markers. On the other hand, conifers have a long generation time and as a result, demographic events may change the frequency of their ancestral and newly derived mutations in a way similar to that produced by locus-specific forces, one illustrating example being the excess of rare-derived variants resulting from both population expansion and positive selection (Nielsen 2005; Wright and Gaut 2005). Studies that tackled such questions often relied on a series of parameters and tests to identify the presence of natural selection, mainly: the level of nucleotide diversity in DNA sequences, haplotypic diversity, allele frequency spectrum, and more commonly, the extent of LD as a direct evidence of positive selection. However, in conifers, most of these tests have been performed on a limited number of nonregulatory genes with relatively short sequences, which reduced the number of informative sites and the detection power of selection signatures, especially when demographic forces may have eroded selection signatures (e.g. Heuertz et al. 2006; Pyhäjärvi et al. 2007). Because of the limited number of informative sites, LD is also usually estimated as an average over many genes which can hinder the utility of LD as an indicator of gene-specific processes (e.g. Brown et al. 2004; Neale and Savolainen 2004; González-Martínez et al. 2006; Heuertz et al. 2006). 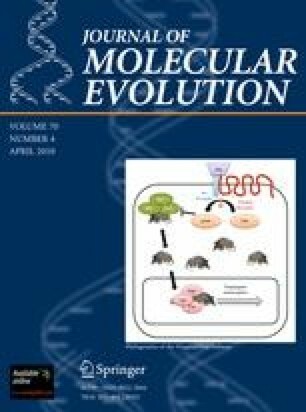 In this study, our objective was to assess the extent to which the analysis of complete or nearly complete sequences of nuclear genes involved in transcription regulation allows the identification of natural selection in the presence of potential demographic effects related to the glacial and post-glacial history of the taxa investigated. Also, longer gene sequences carry a larger number of informative sites, and therefore provide an interesting opportunity to estimate LD on a gene-by-gene basis and assess heterogeneity among genes and species. Four of the genes investigated in this study belonged to the knox-I family (KN1, KN2, KN3, and KN4) and one to the homeodomain-leucine zipper III family (HB-3), and their sequences ranged from 2,101 to 5,886 bp. Knox-I genes are commonly involved in plant development and architecture (for review, Hake et al. 2004) and the control of shoot apical meristem during embryogenesis (Ito et al. 2002). Homeodomain-leucine zipper (HD-Zip) genes are important for vascular development (Zhong and Ye 1999; Baima et al. 2001) and the establishment of functional apical meristems (Emery et al. 2003). In particular, knox-I genes have been shown to be under diversifying selection during their duplication history (Guillet-Claude et al. 2004). As a result, they might be of special interest for investigations on the implication of regulatory genes in adaptive natural variation in plants and trees. To assess the consistency of our results, we further compared the genetic patterns for these genes among three largely distributed boreal species from two different continents: white spruce (Picea glauca [Moench] Voss) and black spruce (Picea mariana (Mill.)) in eastern North America, and Norway spruce (Picea abies L.) in Central Europe. The three species are taxonomically and phylogenetically distant (Bouillé and Bousquet 2005; Ran et al. 2006) and have been displaced during the Pleistocene glaciations and the ensuing Holocene recolonization. In addition to being prevalent species in their ecosystem, they are also characterized by a highly outcrossing mating system, wind pollen dispersal, large population sizes, and a long generation time (Bouillé and Bousquet 2005). Our specific objectives were to: (1) determine the levels of nucleotide polymorphism, haplotype structure, and LD on a gene basis in different congeneric species, (2) identify potential selection signatures and whether they are correlated among species, and (3) determine whether demographic forces are simultaneously affecting the genome of the three boreal species. Needles and seeds were collected from 96 mature trees of P. glauca grown in a breeding orchard and representing various seed sources from Québec and Ontario in Canada (Canadian Forest Service, Beaulieu 1996), 26 mature trees of P. mariana grown in a test plantation and representing various seed sources across eastern Canada (Canadian Forest Service; Beaulieu et al. 1989), and 23 mature trees of P. abies grown in a test plantation and representative of several seed sources from central European countries, mainly Poland (Canadian Forest Service; Corriveau et al. 1988). P. abies samples were all from the same regional population to avoid the reported large-scale population structuring in various geographical groups across its natural range (Collignon et al. 2002; Heuertz et al. 2006). Population differentiation estimates for nuclear genes are usually weak and statistically nonsignificant for P. glauca and P. mariana from the region sampled in central-eastern Canada (e.g. Isabel et al. 1995; Perry and Bousquet 2001; Jaramillo-Correa et al. 2001; Gamache et al. 2003), and for P. abies from Central Europe where the sampling for this study was conducted (e.g. Goncharenko et al. 1994; Collignon et al. 2002; Acheré et al. 2005). To further assess a priori the presence of possible geographical structure in our samples, pairwise two-parameter substitution rates (Kimura 1980) were estimated from concatenated sequence data of the five genes analysed for each haplotype, and neighbour-joining analysis (Saitou and Nei 1987) with 500 bootstrap replicates was conducted for each species using MEGA v.4 software (Tamura et al. 2007). No significant geographical structuring was found within the samples for each of the three taxa (results not shown), in agreement with published findings. Similar findings were found using a Bayesian approach implemented in the software BAPS v.5.1 (Corander and Tang 2007; Corander et al. 2008). For each individual, DNA was isolated from 60 to 70 mg of needles and from a haploid seed megagametophyte using a Dneasy Plant Mini Kit (Qiagen, Mississauga, Ontario). The primer sequences and PCR conditions used to amplify the coding regions of the knox-1 genes are described by Guillet-Claude et al. (2004). A walking PCR procedure was used to amplify the 5′-flanking regions of KN2 and KN4 (800 and 500 bp of the promoter regions, respectively). It is described in the Supplementary Information Box. The eight overlapping-specific primer pairs used to amplify HB-3 are described in Supplementary Table 1. PCR reactions for HB-3 genes were performed in 30 μl containing 5–20 ng of genomic DNA, 20-mM Tris–HCl (pH 8.4), 50-mM KCl, 1.5–2.0-mM MgCl2, 200 μM of each dNTP, 200 μM of both 5′ and 3′ primers, and 1.0 unit of Platinum Taq DNA Polymerase (Invitrogen, Carlsbad, California). Amplification was performed in a peltier thermal cycler (DYADTM DNA Engine, MJResearch, Waltham, Massachusetts) with the following thermal cycling profile: 4 min at 94°C, followed by 35 cycles of 30 s at 94°C, 30 s at annealing temperature optimized between 58 and 60°C for each pair of primers, and 1 min at 72°C, followed by 10 min at 72°C. Both haploid (megagametophytes) and diploid (needles) DNA were amplified for each individual and gene. The PCR products were sequenced in both directions with a Perkin-Elmer ABI 3730 XL DNA sequencer (Applied Biosystems, Foster City, California) using BigDye Terminator Cycle Sequencing Kits Version 3.1. Contigs were constructed with Windows 32 SeqMan 5.05 (DNASTAR Inc., Madison, Wisconsin) and BioEdit v. 5.0.9 (Tom Hall, Department of Microbiology, North Carolina State University). The sequence of the two alleles amplified from diploid needle tissue was deduced using the allele sequenced from the haploid megagametophyte tissue. The sequences containing singletons were checked by re-amplifying and partially re-sequencing around the polymorphisms detected. Sequences were aligned using ClustalX (Thompson et al. 1997). If complex and large indels were present, the final alignment was adjusted by eye using BioEdit (Hall 1999). The genes KN1 and KN2 are located on linkage group III of Picea spp., KN3 on linkage group II, KN4 on linkage group VI, and HB-3 on linkage group IX (Pavy et al. 2008). While KN4 was the first duplicate of the conifer Knox-I gene family to diverge after the split between gymnosperms and angiosperms, KN3 diverged later, followed by KN1 and KN2 (Guillet-Claude et al. 2004). Supplementary Figs. 1 and 2 show the structure of each gene and the observed polymorphisms for each of the three studied Picea species. For each gene, we determined the sequence of 192 (or 120 for HB-3) alleles from the 96 (or 60 for HB-3) P. glauca individuals, 52 alleles from the 26 P. mariana individuals, and 46 alleles from the 23 P. abies individuals, for a total of 290 haploid complements. This was equivalent to about 2.2 kb of sequence in KN1, 3.2 kb in KN2, 2.5 kb in KN3, 2.5 kb in KN4, and 5.8 kb in HB-3, for a total of 16.3 kb for each haploid complement sampled. The total length of sequences determined for this study was 48.9 Mb. The coding regions of the four knox-I genes contained four introns (Supplementary Fig. 1). Because of the large size of the third intron (up to 5 kb; Vollbrecht et al. 1991; Sato et al. 2001), its sequence could not be determined and each knox-1 gene was amplified in two fragments using gene-specific primers. The sequences of the two fragments were then concatenated in each individual, first by concatenating the sequences from the haploid megagametophyte, then by deducing the other allele from the corresponding sequences of the diploid tissue. HB-3 had 17 short introns. Only the second intron was long and extended over 990 bp. The first intron was located in the 5′-untranslated region, just 46 nucleotides before the start codon (Supplementary Fig. 2). Unless mentioned otherwise, sequence data were analysed with the DnaSP4.00 software (Rozas et al. 2003) after excluding insertions/deletions (indels). Nucleotide diversity was estimated by calculating the mean pairwise differences (π) (Tajima 1983) and theta-Watterson estimates based on the number of segregating sites (Watterson 1975). LD was measured as the squared allele frequency correlations (r 2) between polymorphic sites (Hill and Robertson 1968). Only informative polymorphic sites were considered in LD calculations. The significance of r 2 was tested by using Fisher’s exact test and Bonferroni correction (Sokal and Rohlf 1995). LD decay was estimated with a nonlinear regression function (PROC NLIN, SAS software) of r 2 versus the distance between polymorphic sites in base pairs (Hill and Robertson 1968). The r 2 expectation was adjusted to take into account the sample size according to Hill and Weir’s formula (1988). Given the length of our genes, LD decay and mean r 2 could be calculated for each gene separately. They were also calculated by pooling polymorphic sites from all genes together as is usually done in studies analysing shorter gene sequences (e.g. Brown et al. 2004; González-Martínez et al. 2006). Intragenic recombination was estimated by calculating the minimum number of intragenic recombination events (Rm) per informative site (Hudson and Kaplan 1985) and the maximum-likelihood estimator (ρ) based on independent linked pairs of sites (Hudson 2001) as implemented in the LDHat v. 2.0 software (McVean et al. 2002). Haplotype structure was investigated by estimating the haplotype number (K) and diversity (Hd) for each gene based on the number of segregating sites (Fu 1997; Depaulis and Veuille 1998; Depaulis et al. 2001). The observed value of Hd was multiplied by (n − 1)/n where n is the allele sample size as defined by Depaulis and Veuille (1998). The statistical significance of K and Hd values was tested by running 10,000 coalescent simulations conditional on the number of segregating sites and assuming: a neutral infinite-sites model, a large constant population size, and a recombination rate equal to the maximum-likelihood estimator (ρ) of Hudson (2001). Departure from neutrality was estimated for each gene with the Tajima’s D (1989) and Fay and Wu’s H (2000) tests. Under neutrality, these parameters are expected to be null. A negative D indicates an excess of rare variants resulting from positive selection, recent population expansion, or background selection (Charlesworth et al. 1993; Fay and Wu 2000), while a negative H indicates an excess of high-frequency-derived variants resulting from a recent selective sweep (Fay and Wu 2000; Przeworski 2002) or a recent bottleneck (Przeworski 2002). In all cases, the outgroup was a highly matching sequence of Pinus taeda. Despite the breadth of our data set with multiple species and loci, we could not assess the departure from neutrality with two traditional tests: (1) the multilocus Hudson–Kreitman–Aguadé (HKA) test (Hudson et al. 1987), which examines the neutral expectation of correlated levels of polymorphism and divergence across loci; and (2) the McDonald–Kreitman (MK) test which compares the ratio of nonsynonymous to synonymous substitutions within species to that between species (McDonald and Kreitman 1991). The HKA is a conservative statistical test that assumes no intragenic recombination (Hudson et al. 1987), while an important recombination was observed in our genes (see “Results”). The MK test has little power to reject neutrality (Charlesworth and Eyre-Walker 2008) and in many of our genes, the number of fixed nonsynonymous differences between species was null or not large enough to conduct the test. In an attempt to distinguish the effects of natural selection from those of demographic factors, we used several approaches. First, we compared the polymorphic patterns observed at the gene level, mainly nucleotide diversity (π), Tajima’s D, and Fay and Wu’s H with those observed in the noncoding regions of each gene. The rationale is that natural selection is expected to act on expressed gene loci and their linked regions, resulting in a polymorphic pattern different from that observed in nonlinked regions. By contrast, similar patterns among different gene regions were expected if only demographic changes had affected the whole genome. This is particularly worth considering in this study, given the length of the genes analysed and the generally low LD within conifer genes. Second, multilocus coalescent simulations were conducted to examine whether the means and variances of D and H across loci (after pooling the five genes of each species) deviated significantly from those expected under a standard neutral equilibrium (SNM). The latter was constructed by running coalescent simulations conditional on θ using the ms software, assuming an infinite-site mutation model, and a constant population size (Hudson 2002). For each species, we simulated 10,000 replicates of the five genes with their respective sample sizes and number of sites, and we assumed that the population mutation and recombination parameters were constant among the genes and equal to the averages per site of Watterson theta (θw) and Hudson’s (2001) estimates (ρ), respectively. We then multiplied these averages by the length of each gene to take into account the differences in the sequenced gene length. Average π was also considered to determine the fit of the model, and θ was modified in some cases to maintain a simulated average π value (per gene) similar to the observed one (within 5% of the empirical value). The significance of the multilocus estimates (means and variances of D and H) was tested for each species using the AnalyserHKA6 and multitest_pop1 programs, respectively. These programs were kindly provided by Peter Andolfatto and are available at http://genomics.princeton.edu/AndolfattoLab/program_analyser.html. In addition, we tested the fit of our data to different bottleneck models followed by exponential population expansion. These models were constructed and tested as described for the SNM model, but they were simulated over a grid of parameter values for the bottleneck’s severity and age. The severity was measured in units of the current population size N e . It varied from 0.0004N e to 0.5N e which was equivalent to a population size varying between 40 and 50,000 individuals. The age of the bottleneck (from present to the time the bottleneck started) was measured in units of 4N e generations and varied from 0.0005 to 0.005, which was equivalent to a time span of 10,000 to 100,000 years. The length of the bottlenecks varied from 2,000 to 83,000 years. In all these simulations, we assumed that the generation time was 50 years (we took into account the mortality in a stand and the longevity of the species), the divergence time from the common ancestor at 15 million years, and the population size N e equal to 100,000 (Bouillé and Bousquet 2005). Nucleotide diversity of the five knox-I and HB-3 genes was lower at nonsynonymous than at synonymous sites in all genes and species (Tables 1, 2, 3), except for KN4 of P. abies where the ratio of nonsynonymous to synonymous nucleotide diversity (πa/πs) reached 1.45, which could be indicative of selection. When comparing the five genes in each species, total nucleotide diversity was lowest in HB-3 of P. glauca and P. mariana. In P. abies, although the lowest total nucleotide diversity was observed in KN3, the lowest nonsynonymous nucleotide diversity was also in HB-3. In general, nucleotide diversity was comparable between P. glauca and P. mariana, but lower in P. abies. The largest proportions of indels (87%) and substitutions (55% to 87%) were located in the noncoding regions (Supplementary Figs. 1 and 2). Among the 60 indels identified in the four knox-I genes, 21 were singletons, of which 50% were single-base. The remaining indels were relatively large and ranged from 25 to 54 bp, mostly in introns. Ten indels (3–9 bp) were located in the coding regions but none of them induced a frameshift (Tables 1, 2, 3). Most of them corresponded to the deletion or insertion of a repeat motif. In HB-3, all of the 17 indels identified were located outside the exons. Four of them were singletons and their size ranged from one to six bases. Coalescent simulations confirmed a significant excess of singletons in KN3 of P. glauca, KN1 and KN2 of P. mariana, and in all P. abies genes except KN4, which harboured a high nonsynonymous to synonymous substitutions ratio (Tables 1 2, 3). Knox-I proteins had a structural organization similar to that found in other plants. It included a conserved KNOX domain, a highly conserved ELK domain, and a homeodomain (HD) responsible for DNA binding (Ito et al. 2002; Supplementary Fig. 1). The HB-3 protein was also similar to that observed in other plant class III HD-Zip proteins. It had an N-terminal homeodomain/leucine zipper (HD-ZIP) followed by a region with a sequence similar to that in the mammalian sterol/lipid-binding domains (START domain). Most of the C-terminus was well conserved among the HD-Zip III proteins although its function remains unknown (Sessa et al. 1998; Prigge et al.2005). A total of 66 amino acids replacements were identified in the knox-I genes. Most of these replacements (71.2%) were in the N-terminal nonconserved regions. Some (19.7%) were located in the KNOX, but none or very few (7.6%) in the ELK and HD domains, respectively. The largest number of nonsynonymous replacements was in the KN1 gene of P. glauca that contained 16 amino acid replacements including 12 in the N-terminal nonconserved region, one in the KNOX and three in the HD domains. The least polymorphic gene was KN3 of P. abies that harboured three singleton nonsynonymous substitutions and one singleton as a 3-bp indel in its N-terminal nonconserved region. In all species and genes, the number of nonsynonymous substitutions was far lower than the number of synonymous substitutions, except in KN4 of P. abies which harboured five nonsynonymous and two synonymous substitutions in its exons. The proportion of significant LD estimates ranged from 1.6 to 22.0% for knox-I genes, and from 1.0 to 16.4% for HB-3 genes. The P-level ranged from 0.001 to 0.05 following Fisher’s exact test with Bonferroni’s correction. Mean squared allele frequency correlation r 2 was about 0.45 in all genes and species and declined rapidly to half between a few base pairs to around 2,000 bp depending on the gene and species (Fig. 1a–c). However, HB-3 of P. mariana maintained a relatively high LD, up to 2,000 bp (Fig. 1b), which was consistent with its relatively low recombination rates (ρ) and haplotype number and diversity (Table 4). Overall, much heterogeneity was noted among congeneric species for the same gene. For instance, LD in KN1 of P. abies was about six and three times higher than that for P. glauca, and P. mariana, respectively; LD in KN2 of P. mariana was about 150 and 50 times higher than that observed for P. glauca and P. abies, respectively; KN3 had very small LD in P. abies but was three times higher for P. glauca than for P. mariana; LD in KN4 was almost similar between P. glauca and P. mariana, but was about three times higher in P. abies; and LD of HB-3 was about five and ten times higher for P. mariana than for P. abies and P. glauca, respectively. When pooling polymorphic sites from all genes together, LD was highest in P. mariana (half-decay of r 2 ~430 bp; mean r 2 = 0.18), but when excluding HB-3, LD was highest in P. abies (half-decay of r 2 ~92 bp; mean r 2 = 0.11). For all species, knox-I genes showed a more rapid decay of LD than HB-3 genes (Fig. 1). In concordance with its LD estimates, HB-3 had lower recombination rates and haplotype number and diversity than knox-I genes in P. glauca and P. mariana (Table 4). In P. abies, HB-3 had the lowest recombination rate, but it was KN3 that harboured the lowest haplotype number and diversity (Table 4). Averaged over the five genes, recombination was lowest in P. glauca. Neutrality tests reaching statistical significance involved one gene in P. glauca and P. mariana but several genes in P. abies (Table 4). In addition, all genes (except KN2 in P. mariana) had negative Tajima’s D and Fay and Wu’s H values, reflecting an excess, although not always significant, of both rare- and high-frequency-derived variants in the three species. When comparing the three species, both D and H values were generally more negative in P. abies genes. Negative D and H values and comparable patterns of nucleotide diversity were observed in the noncoding (promoters, introns, 5′- and 3′-UTRs) regions of each gene (results not shown), suggesting that all gene regions were affected by similar processes. In concordance with these observations, coalescent simulations revealed that mean Tajima’s D and Fay and Wu’s H were negative and significantly (P < 0.05) deviated from expectations under the neutral model, thus indicating a significant excess of both rare- and high-frequency-derived alleles at the multilocus level of each species (Table 5). From all the models simulated, only those based on a bottleneck that occurred during the Last Glacial Maximum (LGM) followed by a population expansion at the beginning of the Holocene or shortly after were able to adequately explain the polymorphic patterns in the three Picea species. For the three species, the bottleneck was signalled at around 25,000 years ago and reduced the population effective sizes to less than 1% and as low as 0.1% (best model). The beginning of the expansion phase may have varied among the three species: the best models showed that the bottleneck ended and exponential expansion started at about 17,000 years before present for the three Picea species, but near-best models showed that the impact of the bottleneck may have lasted longer and the beginning of expansion could have been delayed by many thousands of years for P. glauca (around 10,000 years ago) and P. abies (between 15,000 and 5,000 years ago). Despite the limited diversity of genes surveyed, the nucleotide diversity of regulatory genes was generally comparable to that reported in other conifer studies using shorter sequences for a larger number of genes such as for Pinus radiata and Pinus pinaster (Pot et al. 2005), Pinus taeda (Brown et al. 2004; Neale and Savolainen 2004; González-Martínez et al. 2006), and Douglas fir (Krutovsky and Neale 2005). Nucleotide diversity was also comparable to that previously reported for shorter stretches of other nuclear genes in the same three Picea species (Bouillé and Bousquet 2005; Chen et al. 2010) and in P. abies (Heuertz et al. 2006), and for two nearly complete genes in Pinus sylvestris (Garcia-Gil et al. 2003). Some recent studies argued against low mutation rates to explain the relatively low to moderate nucleotide diversity in conifers; they suggested that low mutation rates are often calculated based on overestimated divergence times (Heuertz et al. 2006; Pyhäjärvi et al. 2007). In this study, the limited number of genes analysed did not permit to confirm these observations. However, it is worth mentioning that the lower nucleotide diversity noted in P. abies compared to the two North American species might reflect a sampling difference. Indeed, samples for P. abies were from populations from central Europe, mainly from Poland, thus covering a smaller part of the species natural range as compared to that for the North American species. Moreover, nucleotide diversity was quite comparable among the three species in a recent study, where P. abies sampling represented much of the species natural range (Chen et al. 2010). The generally much lower nucleotide diversity at nonsynonymous compared to synonymous sites (Tables 1, 2, 3) was consistent with the findings of Guillet-Claude et al. (2004) who analysed the same knox-I genes and attributed such a pattern to purifying selection. Purifying selection appears particularly high for HB-3 of P. glauca and P. abies that exhibited a relatively low πa/πs ratio, a pattern often attributed to purifying selection (Yang and Bielawski 2000; Barrier et al. 2003; Palmé et al. 2008). Apparently, HB-3 has a higher level of conservation and undergoes stronger functional constraints when compared to knox-I genes. Constraints against deleterious amino acid changes are consistent with the fundamental roles of class III HD-Zip genes in meristem initiation, organ polarity, and vascular development (Baima et al. 2001; Zhong and Ye 1999, 2004; Emery et al. 2003; Green et al. 2005; Prigge et al. 2005). Evidence for positive and balancing selection was also found. In P. glauca, KN3 harboured the lowest total nucleotide (π) and haplotype (significant deficit) diversity (Hd) among all genes. It also harboured a significantly negative D value and a strongly negative (although nonsignificant) H in addition to a relatively high LD (half-decay of r 2 ~150 bp; Fig. 1b) which could all be interpreted as the signature of positive selection (Fay and Wu 2000). In P. mariana, KN2 harboured a large positive and significant H value and a relatively high LD (half-decay of r 2 ~300 bp), supporting the hypothesis of a recurrent hitchhiking in this gene. Interestingly, the hypothesis of a positive selection could not clearly be confirmed based on neutrality tests alone for HB-3 in P. mariana. This gene exhibited the most negative H and D values among all genes for the two North American species but these values were not significant. At the same time, it exhibited the highest LD among the genes of P. mariana (half-decay of r 2 ~2,000 bp; Fig. 1b) and among all the genes of all the species. Consequently, we argue that this gene may be under recent positive selection that could not be detected by the two standard neutrality tests, Tajima’s D and Fay and Wu’s H. In P. abies, both KN2 and KN4 reflected the marks of a strong natural selection. Although such a hypothesis is not congruent with the relatively low LD in KN2 (Fig. 1c), the latter had the most negative and significant H value (Table 4) in addition to a significantly negative D value (Table 4) and a relatively high πa/πs ratio (0.16). In a recent study that compared nonsynonymous to synonymous substitution ratios in conifers, Palmé et al. (2008) suggested that genes with a nonsynonymous to synonymous substitutions ratio (K a /K s) lower than 1 but in the range of 0.20–0.52 could be undergoing some effects of positive selection. This range is marginally higher than the observed KN2 πa/πs ratio for P. mariana (0.16), suggesting that this gene is a possible candidate for positive selection. As for KN4, it harboured the highest πa/πs ratio (1.45) among all genes and species (Table 3). Such a high ratio (>1) is often interpreted as an evidence for positive or balancing selection (Wu et al. 1998; Yang and Bielawski 2000; Barrier et al. 2003; Palmé et al. 2008). In the present case, it is more likely that balancing selection is implicated, because the gene had the highest nonsynonymous diversity among all genes and species, harboured the highest haplotype number and diversity among P. abies genes, and displayed a low nonsignificant Tajima’s D (Table 4) indicative of little or no excess of rare alleles. Despite its relatively low nucleotide diversity (Table 3), its significant deficit in haplotype number and diversity and its significant negative Tajima’s D (Table 4), the hypothesis of positive selection could not be confirmed in KN3 of P. abies; this gene showed no significant decay of LD (Fig. 1c) and its Fay and Wu’s H was the highest among the genes of P. abies. While showing that different types of selection can affect different genes and different taxa within the same plant genus, our results showed that it is possible to detect selection effects in genes of boreal tree taxa even if their genomes have been affected by recent large demographic effects. These findings suggest that there is no simple rule to identify genes under selection or to transfer information between species, even congeneric ones with similar ecology, life history, and boreal distribution. One possible explanation for this may be related to the evolution of genes in conifers. In plant gene families such as knox-I, sub-functionalization was shown to occur more commonly than neo-functionalization following gene duplication, at least for genes recently duplicated during the evolution of conifers (Guillet-Claude et al. 2004). Recent duplications in regulatory genes were also noticed in the MYB gene family of conifers with differential expression of family members (Bedon et al. 2007), and in the HD-Zip family in barley (Sakuma et al. 2009). Both gene duplication and function redundancy offer to gene duplicates the possibility to adapt and evolve differently in different species (Van de Peer et al. 2001). Another possible explanation may be related to the nature of the genes selected in this study. On one hand, a priori knowledge about the function and duplication history of the regulatory genes surveyed likely helped to recover more frequently potential cases of selection at the molecular level. On the other hand, determining complete or nearly complete gene sequences instead of partial sequences may have constituted a decisive factor in detecting selection in this study by improving the coverage and the detection power in the context of boreal taxa affected by recent and large-scale demographic changes. Given the length of the sequence determined for each gene in each species (up to 5,886 bp), an interesting aspect of this study is that it provided a clear estimate of LD on a gene-by-gene basis and evidence that an important heterogeneity in LD may exist among genes and among congeneric species for the same gene. While valuable, previous estimates of LD in conifers were most often calculated by pooling data from partial gene sequences to obtain a statistically acceptable number of polymorphic sites for the calculation of the correlations between the number of polymorphic sites and the distance in base pairs (e.g. Brown et al. 2004; González-Martínez et al. 2006; Heuertz et al. 2006; Pyhäjärvi et al. 2007). The calculation of LD for individual genes was possible in this study because of the long gene sequences analysed. LD half-decay for individual genes ranged from a few base pairs to around 2,000 thus confirming previous reports of low LD in coniferous genes by pooling data from several genes such as Pinus taeda (~800 bp; González-Martínez et al. 2006), Douglas fir (~500 bp; Krutovsky and Neale 2005), Picea abies (~100 bp, Rafalski and Morgante 2004; Heuertz et al. 2006), Pinus taeda (~2,000 bp; Brown et al. 2004), and Pinus sylvestris in northern populations (~1,400 bp; Pyhäjärvi et al. 2007). However, differences in LD among genes and between the three congeneric species for the same gene were notable, with differences sometimes reaching two orders of magnitude for the same gene. These findings suggest that the generalization of low LD in conifer genes should be taken with caution: some genes may exhibit different patterns depending on different types of selection regime. For instance, HB-3 of P. mariana had a high LD (half-decrease of ~2,000 bp; Fig. 1b) potentially indicative of positive selection and hitchhiking, though D and H test values were not significant. However, the noted higher LD for HB-3 of P. mariana was correlated with lower values of haplotype diversity and number of haplotypes. Apparently, neutrality tests may not always capture the signature of positive selection, and other indicators such as the extent of LD and haplotype diversity of individual genes may be more informative. In a study that used simulations to assess the power of different tests to detect selective sweeps, Depaulis et al. (2005) reported that haplotype diversity tests may be more powerful than frequency spectrum statistics such as Tajima’s D when a selective sweep is mild, i.e. that recombination occurs between the selected site and the marker. Furthermore, our findings suggest that caution should be exercised in extrapolating LD at the multilocus level, because a multilocus estimate may hide the effect of selective forces one or few genes may experience. Interestingly, the HB-3 gene nonlinear regression model was able to significantly explain (P < 0.05) the LD pattern at the multilocus level in P. glauca and P. abies, but not in P. mariana (P = 0.37) when the HB-3 gene was included. The limited number of genes analysed could also be a plausible source for this bias, but the large size of the sequences analysed may have counterbalanced this effect, especially that a good fit of the regression model was observed for P. glauca and P. abies even when HB-3 was included. The negative D and H values obtained for all genes and the congruent patterns of polymorphism (nucleotide diversity, D and H) in noncoding gene regions support the hypothesis of demographic changes shaping DNA variation in the three Picea taxa analysed. Moreover, multilocus analysis indicated a significant excess of both rare- and high-frequency-derived variants in the three species, which is also considered as the signature of a bottleneck followed by population expansion (e.g. Haddrill et al. 2005; Heuertz et al. 2006; Pyhäjärvi et al. 2007). Hitchhiking may induce an excess of rare alleles in some genes, but it is unlikely that such a pattern would be observed for all genes analysed. Although our conclusions are only based on five genes, they do agree with other studies that detected the signature of bottlenecks followed by expansion in Picea abies gene sequences (Heuertz et al. 2006; Pyhäjärvi et al. 2007). In addition, this study brings relatively recent estimates for the bottleneck at/or around LGM and expansion events likely at different times after LGM and during the Holocene. Paleoecological evidence brings further support to our findings as described below. The pollen and macrofossil records indicate that white spruce and black spruce from North America survived in the Beringian glacial refugium (Anderson and Lozhkin, 2001; Brubaker et al. 2005) and in refugia south of the ice sheet, for instance in the Mississippi Valley (Davis and Shaw 2001), about 25,000 years ago during the LGM when the Laurentide and Cordilleran ice sheets were still covering most of North America. Following abrupt warming and the initiation of glacial retreat, black spruce and white spruce expanded more or less gradually from southern refugia to occupy their current range in North America (Jaramillo-Correa et al. 2004; Anderson et al. 2006), but it was not until after the late glacial (approximately 17,000 years ago) that important concentrations of Picea pollen could be found in North America (Fig. 1a; Davis and Shaw 2001). These paleoecological data corroborate our coalescent simulations, especially the date of the bottleneck (around 25,000 years ago) and the beginning of expansion in the two North American species at the end of the LGM about 17,000 years ago. The observation of a longer bottleneck impact (up to 10,000 years before present) in some near-best models for P. glauca could have resulted from recolonization delays linked to differences in reproduction and adaptation between P. glauca and P. mariana in response to varying climatic conditions during the Holocene (Lindbladh et al. 2003, 2007; Pisaric et al. 2003). The competitive advantage of P. mariana in colder climates (Messaoud et al. 2007) and the absence of competition may have enabled P. mariana to expand rapidly at the end of the LGM, likely faster than P. glauca whose expansion could have largely occurred with the relatively warmer phases around 10,000 years ago (Pisaric et al. 2003). Similar to P. glauca and P. mariana, our results indicate that P. abies would have expanded from putative refugia maintained through a late Pleistocene bottleneck. However, the relatively stronger (more negative) mean H and D values observed for this taxon (Table 5) suggested more severe bottleneck effects and/or a more recent expansion than those observed in the two North American species. Based on pollen and fossil records, Ravazzi (2002) estimated that P. abies populations in Central Europe underwent a phase of general reduction in population size during the LGM (~25,000–18,000 years before present). He also demonstrated that the species underwent another more severe decline during the Dry maxima that coincided with a phase of severe aridity between the end of the LGM and the onset of the late glacial interstadial (17,500–15,000 years before present). With the subsequent warmer phases, the species experienced an expansion that extended well into the Holocene (Ravazzi 2002; Latalowa and van der Knaap 2006). These paleobiogeographic observations fit well some of our near-best simulation results where the population expansion of P. abies could have been delayed well after the beginning of the Holocene, at least for Central Europe. Our findings are also in line with the observations of Lagercrantz and Ryman (1990) that: (1) Central European populations of P. abies exhibit a low level of polymorphism and an excess of rare alleles, distinct from those observed in other European countries; and (2) the genetic patterns in Central European populations reflect a bottleneck and a rapid expansion about 10,000 years ago with an ongoing process of population adaptation and differentiation. More ancient bottlenecks of hundreds of thousands or million years old were inferred in P. abies by Heuertz et al. (2006) and Chen et al. (2010). However, their model assumptions and parameters fit criteria were slightly different and their populations were mostly from the Baltico-Nordic and Alpine refugia, contrary to the present P. abies populations which descended most likely from the more eastern and continental Carpanthian refugium (Collignon et al. 2002). Moreover, in an extensive study of the pollen and fossil records in Central and Northern Europe, Latalowa and van der Knaap (2006) showed remarkable regional differences in the Holocene spruce expansion patterns related to a wide spectrum of interactions between environmental factors and spruce ecology. As a result, it is possible that these differences in demographic history simply reflect variation in genetic diversity or adaptive potential among glacial populations at the onset of LGM and/or spatio-temporal heterogeneity in the dynamics of the last glaciation and ensuing Holocene colonization. Additional sequence signature studies in different ancestral lineages for these species and for accompanying taxa in the same refugia would help confirm if geographically and genetically distinct glacial populations experienced differential historic demography, as is likely the case for P. abies. We are grateful to F. Larochelle (Centre for Bioinformatics and Computational Biology, Univ. Laval) for helping with the design of an application for the graphical representation of DNA sequences and their polymorphisms (Supplementary Figs. 1 and 2), P.-L. Poulin, S. Larose et J. Laroche for their help in setting softwares and running the coalescent simulations, F. Gagnon and S. Blais for their sustained contribution to the PCR experiments and sequencing, N. Pavy and H. Bérubé for assistance with programming, and J. P. Jaramillo-Correa for useful paleobotanical references and discussions. We are also grateful to Peter Andolfatto for his helpful instructions about neutrality multilocus analysis, and Julio Rozas for his helpful insights about some of the DnaSP procedures. This work was supported by grants from Genome Québec, Genome Canada, and the National Sciences and Engineering Research Council of Canada.